I'm off for the next few days, so I'll be playing catch up and posting weeks worth of looks, swatches, and whatever else strikes my fancy. 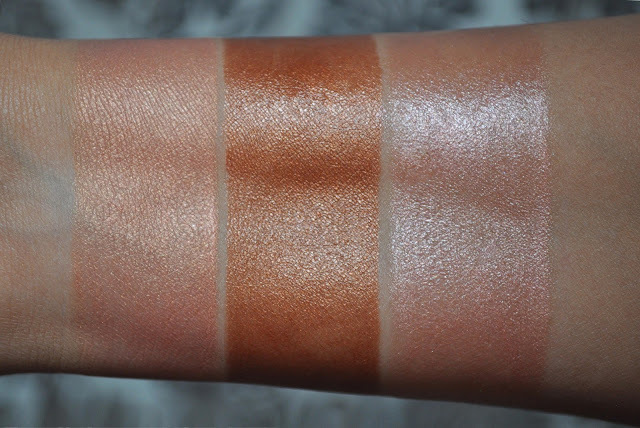 From left to right: Fire lust Skin Illuminator, 02 Bronzed Amber & 01 Blush Guilt Illuminating Cheek Color. 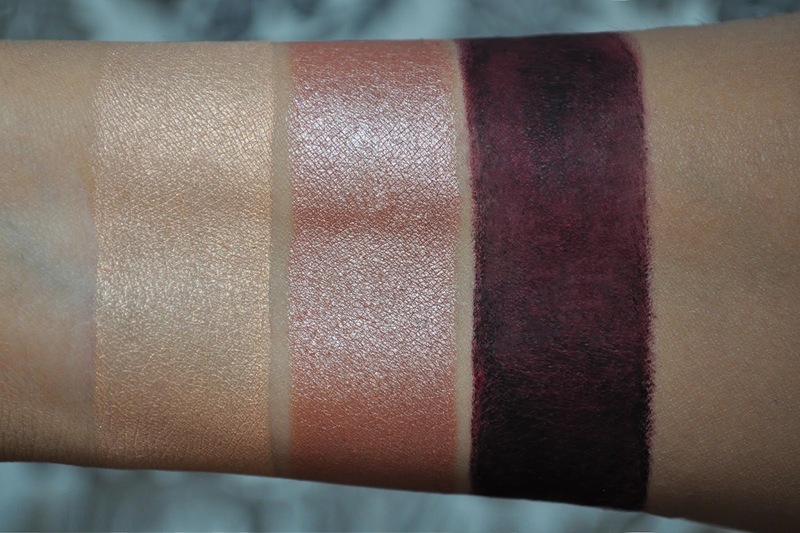 From left to right: Cream Color For Eyes 06 Escapade & 05 Pink Haze, Plum Absolute For Eyes. From left to right: Warm Sable Lip Color, 04 Pink Guilt Ultra Shine Lip Gloss. Tom Ford Skin Illuminator in Fire lust (mixed in with foundation and used to highlight). Tom Ford Illuminating Cheek Color in 02 Bronzed Amber (in the hollow of the cheeks and blended upward). Tom Ford Illuminating Cheek Color in 01 Blush Guilt (on the apples of the cheeks). Tom Ford Cream Color For Eyes in 06 Escapade (on the inner half of the lid). Tom Ford Cream Color For Eyes in 05 Pink Haze (on the outer half of the lid, blended into the crease and lower lashline). Tom Ford Absolute For Eyes in Plum (used to line the upper lashline). 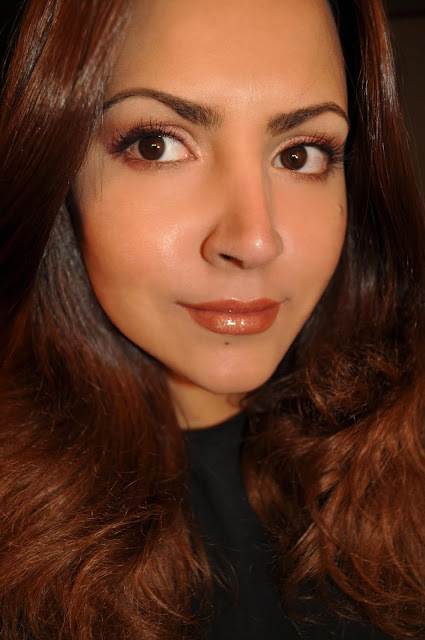 Tom Ford Ultra Shine Lip Gloss in 04 Pink Guilt . 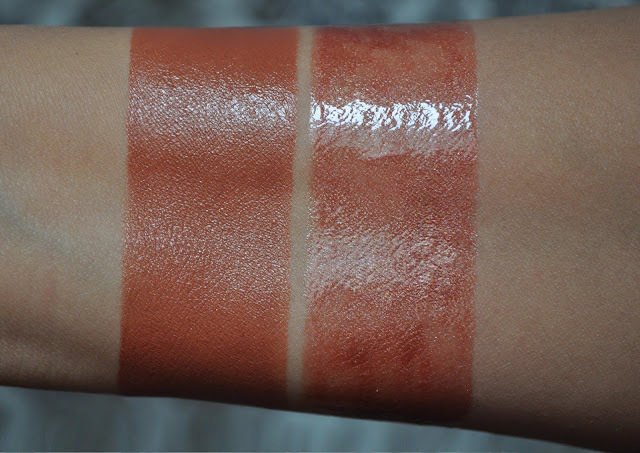 Those warm,nudish shades look soooo lovely on you! Are there any colors you can't/ don't like wearing? Sonia from Sweetmakeuptemptations was talking me into getting the lip gloss in Pink Guilt just a couple of days ago. I haven't read FB much or seen many swatches of it out there though. What is your verdict? Is it a keeper?? I have PInk Guilt but I wish I could get my hands on Warm Sable. It looks like my kind of color. I missed out on Fire Lust. How do you like it? I think you can still find Warm Sable on ebay? I'm glad I own Fire Lust, it gives the skin a warm luminous glow.